Seems smart in everything but school? Learning is largely visual. This pioneering book gives parents, teachers, and therapists proven solutions to unblock a child’s ability to learn and perform — by training the visual brain. Visualization is a powerful technique used by adults. Why not give kids the same tool? Because kids are on a rapid learning curve, introducing visualization early gives them an advantage in school, sports, social skills — almost anything they set their minds on doing. This delightfully illustrated book includes focused activities, plus tips on fitting them into daily routines. Part One – What you need to know about visualization and your child’s vision development. Part Two – How the SEE IT. SAY IT. DO IT! process teaches children to become effective by visualizing an intention, declaring it, and taking action. Expect transformation: for kids, that’s a huge “ta-dah”! Part Three – Strategies for success in reading, spelling, math, creative writing, doing homework, and coping with test stress. Applications to music and sports. Part Four – Personal growth, from getting along with others to dealing with emotional situations. Appendix – Vision therapy in more detail, results research. Glossary – Vision terms and resources. This book had some great suggestions and is very helpful for parents working with children with self esteem and vision problems. Dr. Hellerstein gives parents a fun interactive way to help their children learn the valuable skill of organization, goal setting and goal completion. These are skills that will benefit a child throughout their life. They’ll thank you for buying this book and sharing the experience with them. Lynn Hellerstein is an international speaker & author of this award-winning book designed to help students learn more effectively. Parents and students will both benefit from using this book to support the young person in learning math, reading, spelling and writing. All of these skills are required for happy children, and creating opportunities for future employment. A beautifully written book with wonderful illustrations, See It. Say It. Do It! solves many problems that keep parents up at night. As parents, we want the best for our children. When they struggle in school with reading, learning or in sports, we need answers and this book has them. Easy to read, quick to implement, these strategies work. Lynn Hellerstein’s book is your new best friend. Dr. Lynn Hellerstein sets an admirable and lofty goal in the introductory pages of her See It. Say It. Do It! action guide: “My mission is to make a difference in this world, empowering individuals by teaching them to explore their internal and external vision.” And her attempts to do exactly that are bound together and offered in a text that should get some serious notice from parents and educators. The scope of this book lies in exploring the techniques of using visualization as a tool to enhance a child’s social and academic performance. It illustrates one model of visualization by defining three steps toward achievement of a goal. Step 1: Visualize (see it), Step 2: Declare (say it), and Step 3: Take action (do it). 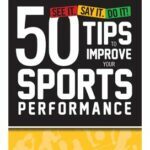 The author emphasizes that in guiding a child through this process on multiple occasions and in a variety of situations, the child will eventually be able to set positive goals independently and work toward achieving them. Dr. Hellerstein has incorporated visualization techniques into her office and at-home treatment modalities, and uses them in conjunction with vision therapy and other practices of developmental optometry. She advocates addressing the child as a whole and building their visualization potential just as one would their physical and academic potential. Her text may be used as a guide to the concept of introducing children to visualization. This book is divided into four general topic areas – visualization and vision development, defining the See It. Say It. Do It! model, school readiness, and personal growth. Chapters within each topic area are filled with background, explanation, anecdotes, and many activities that allow the reader to experience Dr. Hellerstein’s techniques as well as teach them to others. Visualization activities are given for school performance (spelling, writing, math, test-taking), homework, sports, music, and personal growth. Reading this book, I was made more aware of the somewhat unconscious visualization techniques that I already use on a daily basis. The author’s insights into systematically setting and achieving goals can certainly be transferred into adult life. The book, however, is absolutely geared toward children and the examples and activities are appropriate for preschool on up. Being the parent of a kindergartener, I explored many of these activities with my child. I was gratified to discover that he does see pictures in his head when he reads or is read to (an early visualization skill and hopefully a sign of someone who will love the written word), and can certainly appreciate how visualization will open up more creative thinking and prepare him to tackle hurdles in school and in life. Many of the activities involve telling stories and using a child’s imagination; some activities utilize math and spatial relationships, some include physical activity, and some are written. The concepts and benefits are clearly outlined and the occasional list, chart, or illustration further enhances the material. Constant conceptual reinforcement and timely cultural examples are used in each chapter. They serve as a teaching tool and make the tone of the book pleasurable and non-preachy. It is an easy book to read, and the stories and comments from patients who have completed therapy are positive and encouraging. Dr. Hellerstein’s conviction and enthusiasm for her subject matter are evident from the introduction of this book straight through to its conclusion. She has created a model in which children (and adults) are encouraged to take concrete steps toward visualizing and achieving their goals. I’m sure the author has already visualized the positive impact this will have on parents and teachers, and can attest that I, as both, have found it to be a useful resource and guide. This book review is re-printed here with the permission of the editor of Optometry & Vision Development, the official journal of the College of Optometrists in Vision Development. For additional book reviews on a variety of topics, please go to […] and choose any of the OVD issues available, then check the table of contents to see what book reviews are pulished in each journal. Optometry & Vision Development is indexed in the Directory of Open Access Journals and is available to the public at no charge. I’m a German Behavior Optometrist and want to express to all readers, that this book is a big achievement to teachers, parents and of course to optometry too. I edited it as a making my fellowship to SOE in Europe. A boost for me while writing and reading. Getting new aspects in working with children and also adults. Dear Lynn, thanks again, writing this book. I made it. As a Developmental Optometrist, I recommend this book to parents, teachers, and anyone who wants to improve their ability & increase their abilities to better visualize, enjoy reading, work, sports and life. I often hear the frustration of students, parents and teachers as they struggle together to make learning happen. 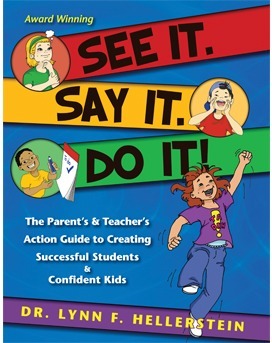 See It, Say It, Do It!, is a great tool to help children and adults learn to use visualization. It can help to turn struggling readers into great readers, by helping to form distinct and striking mental images and increasing more details of the latest novel being read, by helping to create a “mental movie.” This is an easy to read book describing how vision affects so much of what we do. Increasing the visual skills and abilities used to “visualize,” can improve the lives of all of us, especially people with brain injury, ADHD, autism, movement, balance, and developmental delays. This book gives gives proven methods of improving those skills in vision therapy. A wonderful resource for educators, parents and professionals alike and a great addition to your library. It’s easy to say to do well in school, but actually doing it proves much more difficult. “See it. Say It. Do It. : The Parent’s & Teacher’s Action Guide to Creating Successful Students & Confident Kids” is a guide to helping students really gain a more consistent performance in school when they seem generally smart, bright students who just seem to shut down during school hours. Anxiety, confidence issues, fear are issues discussed so gifted children can use their gift, be it in academics or sports. “See It. Say It. Do It.” is a fine read well worth considering for parents and teachers who don’t want to see potential wasted. The book is filled with easy to implement strategies that both parents and teachers can use to enhance the learning of their students. By using the techniques suggested by Dr. Lynn, students will be empowered and academic and personal success will result. As an optometrist, I found this book an essential resource for parents, educators and anyone interested in children’s development. 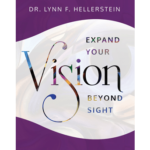 Dr. Lynn Hellerstein discusses an important aspect of vision: the ability to visualize. Many people who struggle in spelling, math, reading comprehension and sports may be lacking the ability to visualize. The beauty of this book is its clear, simple and logical presentation. It answers questions such as what it means to have good vision, how to identify visual problems, and its relationship to a child’s struggles in school. It also provides effective strategies and exercises to improve the ability to visualize, and translating that skill to day-to-day activities.